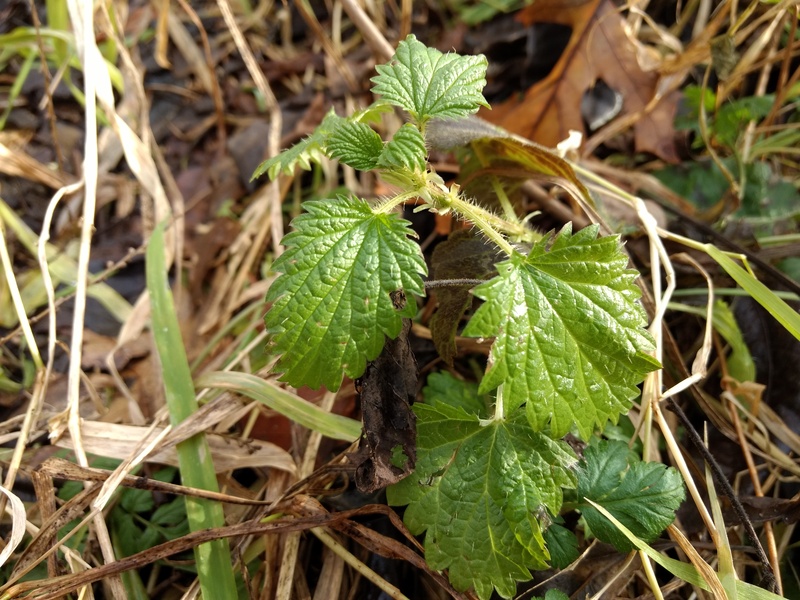 Nettles are among the first plants to emerge in the spring. This is one of the reasons for their intense sting. You have to work pretty hard protect yourself when you are one of the first plants to come up, and the woods is full of winter-hungry animals. Sometimes the weather can fool nettles into sprouting in the fall or even mid winter. So go check your nettle patch. You may be surprised to find some fresh greens! Another green that can be found right now is chickweed. The seeds begin to sprout in the fall, and the chickweed patch will continue to grow over the winter, whenever there is a brief thaw. This allows them to take advantage of the sunlight when the trees don’t have their leaves, and before other plants grow and shade them out. 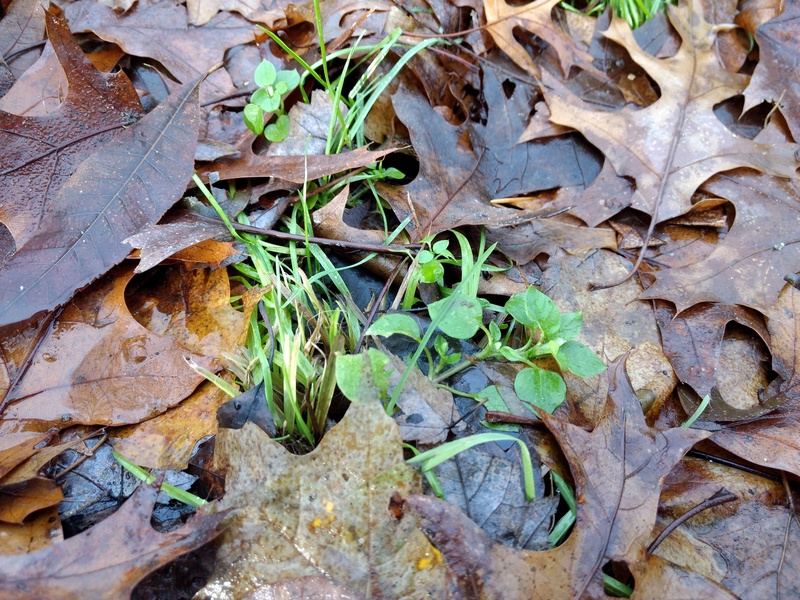 Not only can you find chickweed right now, you will likely be able to find it all winter long if you know where to look. Get out there and do some scouting. 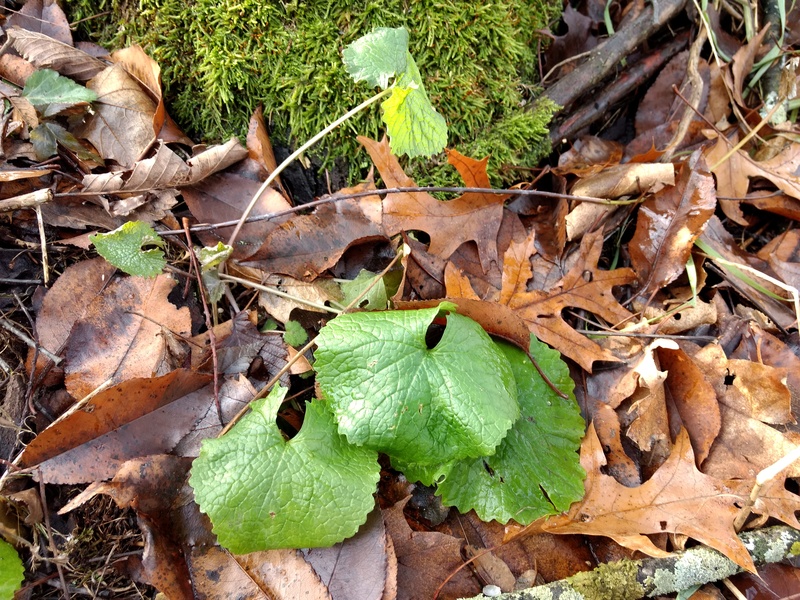 Garlic mustard is another green that can be found in the fall and winter. These plants are cold tolerant and will take advantage of every winter thaw to grow and add mass to their roots. This provides them with plenty of stored energy so that they can shoot up and flower quickly in the spring. So the roots are at their peak from late fall through early spring. Try pulling a few and miking with vinegar and salt, or mayonnaise, to make a horseradish-like condiment. Yet another item that is available in the fall and winter is rose hips. Rose hips are loaded with Vitamin C, and a great example of how your food can be medicine. Rose hips can be added to almost any combination of herbs and spices to make tea. They can also be used to make jelly or added to other fruits in things like pies, compotes, and muffins. If you don’t like sweets, try using them in a vinagrette for dressings or marinades. Or add them to your kombucha or kefir. 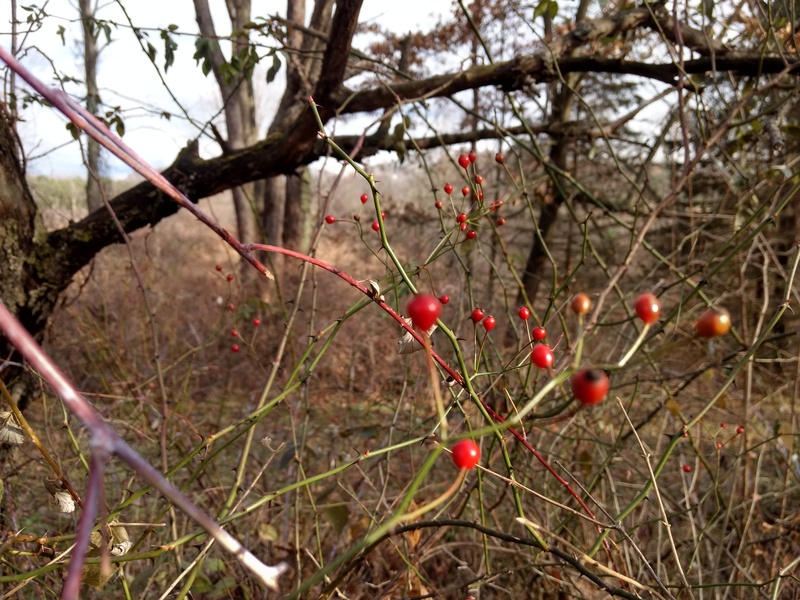 Rose hips are plentiful and versitile, so use them liberally for the next few months to help keep winter colds at bay. Speaking of winter colds, mullein can help if you get that deep, bronchitis-type cough. Mullein helps to sooth the throat and respiratory tract, quiet irritating coughs, and expel mucus. Traditionally, mullein smoke was inhaled to cleanse and clear the lungs. Or you may prefer to make a tea using the leaves. 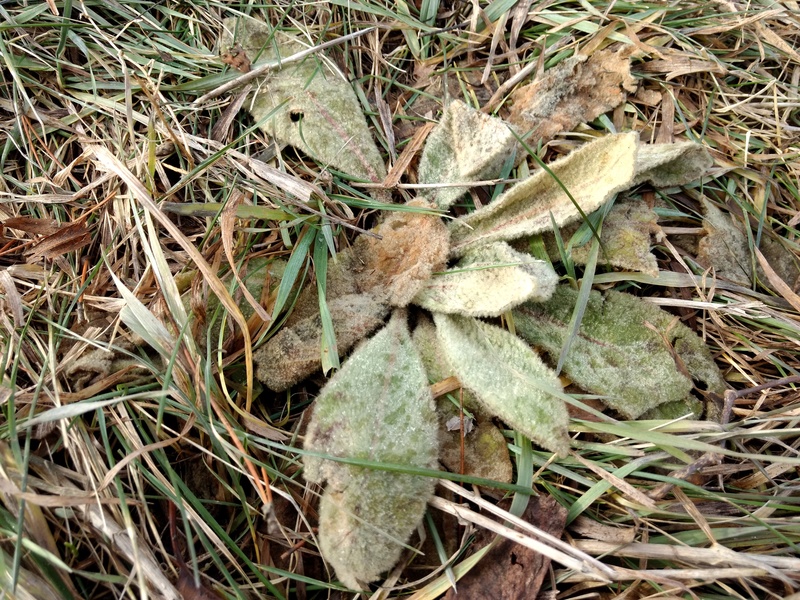 Harvest some mullein now and let it dry so that you have it when the snow is deep and you are too tired and sick to go out in the cold and dig for it. We have a lot of fun camps in the works for 2019, inlcuding Mushroom Camp, Forage and Feast Camp, and our 6th Annual Great Lakes Foragers Gathering. Keep an eye on our upcoming events page for details.